Since I have become involved in doing clergy coaching, I have found that there is a great deal of interest in the field and a number of misconceptions about it. Like anything, coaching can become a “fad”” or “passing fancy” if the purpose and process are not clearly understood. 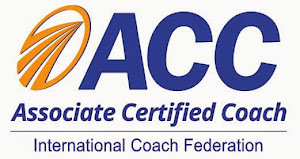 In a recent news release, the International Coach Federation defines coaching as “partnering with clients in a thought-provoking and creative process that inspires them to maximize their personal and professional potential.” My colleague Mark Tidsworth at Pinnacle Leadership Associates refers to coaching as “living into one’s calling.” Each person has their own “growing edge.” Life coaching is a way for a person to identify areas of potential growth, set appropriate goals, and develop action plans for achieving those goals. My experiences in coaching have encouraged me to move forward to obtain the training to become a credentialed life coach. Although some of the skills needed in coaching may be innate, they can be honed and new skills developed through proper training. I think that is my “growing edge” right now. 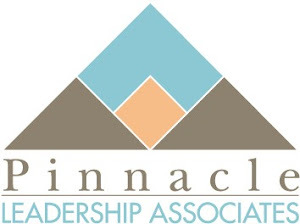 My colleague Mark Tidsworth recently posted a topic on the Pinnacle Leadership Associates Facebook page that generated a lot of response. The topic was the loneliness experienced by many ministers, especially the senior pastor. Pastors are involved with people on a daily basis but often disconnected. This circumstance is not limited to senior pastors or to single staff minister churches. A friend who has served as a student minister on a church staff for years pointed out to me that he experienced the same type of feelings. He suggested that everyone needs a “chaplain” to serve as a sounding board, someone outside the church hierarchy or chain of command. Although we can encourage and work on the development of healthy staff teams, a minister may feel uncomfortable in talking with a co-worker about personal needs or a problem situation. Close friendships with church members can be problematic. As staff members, we want to be available and responsive to church members, but if relationships become too close with a specific person, group, or family in the congregation, this may cause dissension within the church body. Just as every counselor or therapist needs a therapist for accountability, every minister should have such an ongoing relationship that keeps him or her grounded. I am talking about something outside of the supervisory or ministry-related structure. This relationship should be with someone outside the church. There are several ways that a minister can establish this type of relationship. First, he or she can join or develop a clergy peer group. This group may include persons from other denominations. It is especially helpful when such a peer group is facilitated by a person with training in helping skills. 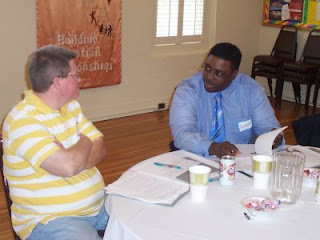 CBF’s Initiative for Ministerial Excellence has provided support for clergy peer groups for a number of years. Second, if the minister is under a great deal of personal, spiritual, or professional stress, he or she should seek a formal relationship with a professional counselor, marriage and family therapist, or clinical social worker. Most insurance programs now provide coverage for such services in their medical plans. Third, if a minister becomes aware that he or she does not have the skills to properly perform certain acts of ministry (preaching, pastoral care, administration), a mentoring relationship with a person who is skilled in the area of need would be beneficial. This is especially helpful for new ministers. Fourth, if the minister is reasonably healthy and not involved in an overly stressful situation that requires a therapeutic approach, establishing a relationship with a Christian life coach will help the person work on his or her “growing edge”—the place where the minister perceives the greatest need to develop. If there are not other means of funding any of these approaches, the church should provide the cost with the understanding that these are all confidential relationships. There should be no strings attached and no reports should be provided to the personnel committee or any other administrative body of the church. The investment will pay off for the church and for the minister. Several Sundays ago, my pastor preached a sermon on the passage in Luke 15 about the loving father. Most of us call it the Parable of the Prodigal Son, but the primary emphasis is on the action of the father and, by implication, the action of the Heavenly Father. The fresh insight I heard that morning was the fact that the father in the story takes the initiative in reconciliation with both sons. First, when the younger son returned home, the father ran to meet the son without waiting for the son to approach him. Second, when the older brother refuses to come in to the homecoming celebration, the father “went out and pleaded with him.” The loving father is not impassive but active in sharing love and grace with his sons. This text can help us to understand better the nature and mission of God as well as the nature and mission of the church. In the Hebrew Bible, we read that it is God that takes the initiative to redeem humankind. God sends messengers and prophets to inform and entreat the people of God to follow faithfully. In the New Testament account, God sends a son to humanity to share the good news. God is a sending God. Therefore, the church should be a sending church. If it is God’s intention to actively engage the world, then the church in carrying out the mission of God (missio Dei) must be a sending church. In the missional congregation, mission refers to those initiatives taken by individuals, impromptu groups and organized entities to respond to identified needs in the world, as a continuation of the mission of God. When a congregation adopts this understanding, it will gain a new perspective and set new priorities. I believe that the adoption and practice of a missional ecclesiology can have a greater impact on Christian witness in the 21st century than the “emerging” or “emergent” church movement. Whether she intends to or note, Phyllis Tickle makes a pretty good case in The Great Emergence that the emergent movement will have its major impact within denominational traditions as it encourages Christians to learn about, honor, and practice some of the rich traditions of other “tribes.” The emergent approach might be seen more as a tool for dealing with the postmodern situation we find ourselves in than in a reformation of the church. On the other hand, a missional ecclesiology reframes the way we see who we are and what we are about. How are we carrying out the mission of God? 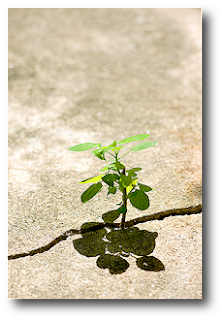 God has reached out to us and we, in turn, are to reach out to our world. My blog entitled “Where Have All the Young Leaders Gone?” seems to have struck a nerve with many young (and some not so young) leaders. In addition to being posted here, the blog was also picked up by ethicsdaily.com and was posted on my Facebook profile. Most of the discussion and response came from the Facebook posting. There were a number of interesting comments, but one response in particular impacted me. It was written by a young woman who graduated from a CBF-related seminary with a passion for issues of peace and justice. I will not reveal her name, but she gave me permission to share her comments with my observations interjected. She begins by saying, “I should say that one should not discount the sense of disillusionment that many young people have with Baptist life--or church life in general. While we're all still committed to faith, a large number of my contemporaries from seminary are no longer working or seeking to work in church life.” I think it is significant that my friend still has a deep and committed relationship with God that continues to sustain her. She is not mad at God, but she feels that her gifts (and those of her compatriots) have not been welcomed by the churches that nurtured them. 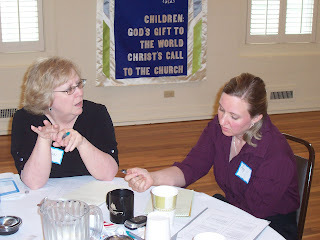 The reason that she and many of her acquaintances are no longer seeking to serve through the church, she continues, is “because of the issues that have been mentioned previously [lack of empowerment, an obsession with marginal issues, concerns about control and institutional survival] and partially because there seems to be little room for socially progressive young church leadership. We're seen as too idealistic, too radical, too inclusive, too whatever.” Believe it or not, I find a positive side to this comment. Where did these young adults absorb this passion? For the most part, I believe it came from what they heard in their churches, their campus ministries, and the seminary classroom. Evidently they have been exposed to the truth of the gospel and that has been a motivating factor in their vocational choices. I have come to the conclusion that my friend’s situation is not so unusual. This raises some serious questions for me. First, although we may have nurtured these young leaders’ passion for ministry, have we been unrealistic in interpreting the real world in which they must function? In my years in campus ministry, I continually encouraged women in leadership roles, but I came to the point when I realized that I might only be building unrealistic expectations for them. They could study religion, go to seminary, and then offer themselves to the church for service, but they were always “second class” ministers to most churches and denominational agencies. Second, the diaspora of these young adults into secular fields may not be a bad thing. They are “being the presence of Christ” in ways that traditional clergy could never be and walking through doors that might be closed to the ministry of the church. The challenge is to help them stay in touch with some kind of meaningful faith community that will encourage them and hold them accountable as they exercise their gifts. They are the “marines of the church,” storming the beaches ahead of everyone else. Third, I am struck by the fact that our churches are the real losers in this situation. We say we want to reach young adults, and the best way to do that is to place young adults into responsible places of leadership, but we often don’t allow them the freedom to fully exercise their gifts there. The church’s needs must come first, but perhaps it is time to reassess what the church really needs in order to flourish. These are the folks that can help us accomplish that task. New wine is growing within old wineskins and it will find its way out into the world, one way or another. In his new book Why the Mighty Fall (and Why Some Companies Never Give In), Jim Collins reminds his readers that he that is a “leadership skeptic”; he believes that organizations achieve greatness not because of the efforts of one exceptional individual but because of a strong leadership team. His phrase to describe this is “getting the right people on the bus.” So who are the right people? Here are his ideas and some of my comments. First, the right people fit with the company’s core values. How do you get people to share your core values? You don’t. You hire people who already have a disposition to your core values and retain those persons. This may be why many churches now look inside the congregation for new staff members. They usually know the culture, have embraced it, and can work within it. Second, the right people don’t need to be tightly managed. Every new hire has a “ramp up” period, but when that period goes on too long and the person requires continued close supervision, you have made a mistake in employment. The danger for churches is that we probably expend too much energy in being redemptive. We spend valuable time trying to “save” a person who is never going to do the job properly. We forget that “salvation” begins with the individual involved. We would be wiser to put those resources into helping the staff member discern where he or she would best fit (in our church or elsewhere) and not prolong everyone’s agony. I have been on both sides of this scenario. I have worked with an employee to improve his ministry, but we were clear on the length of time that would be involved in that process. When the time was up and nothing had changed, we cut our losses and helped him to move on. On the other hand, I have expended uncounted hours coaching and covering for someone who was just never going to do the work. In so doing, I did not do the individual, the organization, or myself a favor. It only perpetuated the failure. Third, the right people understand that they do not have “jobs”; they have responsibilities. Responsibility one for ever church staff member is to serve the church (please not that I said “serve” not “worship”). When a staff member tells someone (supervisor or, Lord help us, a church member) that something is “not my job,” they have shown that they don’t understand their true responsibility in the church. This doesn’t mean that they have to accomplish the task, but they do have the responsibility to acknowledge that this is a matter of importance to someone in the church and to make a referral or seek follow-through. “Jobs” pay the bills; ministry responsibilities build the person. Fourth, the right people fulfill their commitments. The right people don’t promise more than they can produce, but they do follow through on what they have agreed to do. This doesn’t necessarily mean telling a church member of supervisor, “No, I won’t do that” (another way of saying “That’s not my job”). It does mean negotiating realistic goals and assignments and then following through on them. Fifth, the right people are passionate about the company and its work. A pastor once said to me, “Hey, it’s only a church” when we talked about his level of commitment to his place of service. I hope he was only kidding. When we come to the point of thinking “it’s only a job” (see number three above), we testify that we have lost our sense of calling and passion. A church staff member must be self-differentiated. His or her worth as a person is not determined by the success or failure of the church. In most situations, matters are too complex to either give full credit or total blame to one individual anyway. A mature church leader can look at success and say, “I really did not do it all myself” and can look at failure and say “I gave it my best shot.” And then he or she can close the door and go home and count the ways that God has blessed his or her life. Getting the right people on the bus requires clarity, discernment, and patience. We may not get it right the first time, but we shouldn’t stop trying. When you get the right (not perfect) team together, your ministry will be much more enjoyable . . . even fun. Where Have All the Young Leaders Gone? In an article in the Louisville Courier-Journal, religion writer Peter Smith writes that when the Southern Baptist Convention meets in Louisville next week, most convention leaders expect one particular trend to continue—fewer young leaders (under 40) will be present. The attendance of this younger group of leaders has been declining since 1980. This is verified by a report from Lifeway Research that indicates 34 percent of church representatives were younger than 40 at its 1980 annual meeting but only 13 percent in 2007. So where have all the young leaders gone? Although I do not have research figures, I can attest from personal experience that they are not at the annual general assembly of the Cooperative Baptist Fellowship. Although the number of young leaders attending these meetings has increased for the last several years and CBF leaders (especially on the state and regional level) have made significant efforts to get more young adults to the meetings, they are not there! CBF has two great things going for it when it comes to its annual meeting. One is the development of various interest groups (Baptist Women in Ministry, Baptist Center for Ethics, and Baptist Joint Committee, for example) who have identified the General Assembly as their meeting for promotion and networking. The other thing is the development of formal and informal networks (state and regional leaders and current, for example) who come to the meeting for fellowship and encouragement. If CBF wants to reach young adults, the organization needs to continue to practice this “campground” approach to meeting that allows groups with different interests to come together around a few central events. The old frontier campground usually had one or more places for preaching and some big worship (evangelistic) events, but there was a lot more going on around the campground as people from many different churches came to know and support one another. The model can work today. Just throw a party and see who shows up! Have you had the experience of driving down the Interstate and suddenly looking around and asking yourself, “How did I get here? How did I miss (name the exit)? Where am I?” Sometimes we become so absorbed in listening to the radio, thinking, or talking to someone that we loose track of where we are. Many church leaders realize that they find themselves in a similar situation. One day they look around at the church they are leading and say, “How did I get here? Where am I?” The situation in which they find themselves is very different from the one in which they were involved in earlier years . . . and it is the same congregation! What happened? One thing that has happened is that congregants have changed and have very different expectations of their church, its leaders, and their own participation in the church. The people that we are attempting to “lead” have changed the rules of the game. Sometimes the pastor and staff are the last to know! Let me suggest some ways that church members have changed that may (or may not) surprise staff ministers. First, there is the authority factor. Just because you are the pastor of the church, you are no longer the primary expert on religion in your church members’ lives. At one time, the pastor was one of the most educated members of the community, but this is no longer true. Most of our congregants have some college and some are avid readers. Religious guidance is now available in books, on television, on the Internet, and sometimes in the movies. The voice from the pulpit is just one of the voices competing for the believer’s attention. Believers have multiple sources of authority available to them, and they may select any of them for guidance. Second, we have to consider the time factor. If you can get your people for two quality hours of worship, preaching, Bible study, and fellowship each week, you should consider yourself lucky. If they come back on Wednesday nights or participate in some type of service project or study during the week, you should consider yourself blessed. Even the people who don’t have children pulling them in four or five directions are involved in recreation, community service, or additional work. Everyone may have the same amount of time, but the competition for its allocation has increased. The church is just one of the options available. Third, some may think that we talk about this too much, but what constitutes community has changed. The worshipper in the pew may have more contact during the week with a friend on the other side of the country than with the person sitting alongside him or her on Sunday morning. Internet communication (including Facebook and Twitter) keeps us in touch with friends on a daily basis with status updates, notes, pictures and even videos. Geography and physical proximity are no longer necessary for the building of relationships. The understanding of what constitutes community has changed. Often the church has failed to recognize this change. Fourth, there is the factor of one’s personal impact. People want to know that they count in the decision-making process. The electoral success of Barack Obama was fueled not only by his charisma but by the development of an online network of supporters (and contributors) who felt that they as individuals could make a difference. Even if they have done very little politically since the election, these folks remember the importance of their individual involvement. In the church, I think there is a real sense that every participant (even if they are not church members) wants to believe that he or she has some influence. A person may not attend every week, but when a “big issue” arises, they want to be part of the decision-making process. People want to be heard. There are other factors—cultural, economic, political—that affect the church culture in which we labor today, but perhaps those listed above will help you to identify others. How do we address these factors? We will look at some approaches in future blogs. Like most folks, I find summer a good time to catch up on my reading. My summer reading list comes from personal interest, suggestions of friends, and professional needs. Some fit in more than one of these categories. I am reading two books that I plan to use for my seminary course in “Formation for Christian Ministry” this fall. One is What to Expect in Seminary: Theological Education as Spiritual Formation by Virginia Cetuk. This book has been around for awhile, but the author articulates well the commitment of most theological educators today to see seminary education not as a strictly academic enterprise but an opportunity for the student’s personal spiritual formation. Malcolm Goldsmith’s Knowing Me, Knowing God uses the Myers-Briggs categories to help persons understand how their personal type influences the way that relate both to God and to other people. Two of the books deal with the globalization of the church and the opportunity we have to see the Gospel through the eyes of other races and nationalities. A friend recommended Justo L. Gonzalez, Santa Biblia: The Bible through Hispanic Eyes as a good introduction to a Hispanic way of reading scripture. The other is The Monkey and the Fish: Liquid Leadership for a Third-Culture Church by mega-church pastor Dave Gibbons. Gibbons, who will be one of the speakers at Willow Creek Association’s Leadership Summit this summer, writes from the perspective of pastor of a multicultural, multisite church. There are some business writers who are favorites of mine, and I always read their new books. One of these is Jim Collins, co-writer of Built to Last and Good to Great. His new book is a slim volume that is particularly relevant right now-- How the Mighty Fall and Why Some Companies Never Give In. Much of what Collins has written in the past applies to churches and church judicatories. I think this does, too. Another friend recommended Reverse Mentoring: How Young Leaders Can Transform the Church and Why We Should Let Them by Earl Creps. This was recommended by a young leader, so I am interested in what caught his attention. Finally, just for fun, I am reading Kim Stanly Robinson’s Mars trilogy-- Red Mars, Green Mars, and Blue Mars. Although these were written in the 1990’s, Robinson deals with subjects (such as terraforming) that address ecological and human concerns today. This is as much science as it is fiction. There may be additions along the way, but I think these will keep me busy for awhile. If you are interested in any of these books, check out my link to Amazon.com on the right for additional information and to order. Columnist and blogger Jeannie Babb Taylor recently wrote a piece which begins with the question, “Why are Southern Baptists suddenly reluctant to use their own name?” Taylor’s column/blog is a thoughtful critique of “bait and switch” churches that appear non-denominational then turn out to have a denominational connection that some prospective members might find distasteful. I must admit some sympathy for these churches. Why advertise that you are something that turns people away? At the same time, they must struggle with having to downplay their denominational identity. Of course, the term “Baptist” applies to all types of churches—from snake handlers to liturgical. There are at least nineteen national groups of Baptist churches listed in the Handbook of Denominations in America. In addition, there are hundreds or thousands of independent congregations across the country that carry the Baptist name and dozens of national Baptist organizations around the world. The “big dog” on the block in the United States for many years has been the Southern Baptist Convention. The arrogant and triumphal statements of this group over the past three decades have drawn national attention, astonishment, and scorn. There have been attempts by groups like the Alliance of Baptists and the Cooperative Baptist Fellowship to redeem the term “Baptist,” but they are just blimps on the radar screens of most Americans. The churches who have dropped “Baptist” from their names or changed their names are just dealing with the reality of losing some level of control when you choose to identify with a larger entity. Some respondents to Taylor’s piece said that if one is ashamed of the organization of which you are a part, you should try to change the organization. This is easier said than done. Most national organizations plunge on their course, driven by a vision and a culture that may not necessarily reflect the values and attitudes of their constituents. Once they get up a head of steam, changing course is difficult if not impossible. The bottom line is that most of the people who come to the churches that have chosen to downplay or hide their denominational affiliation don’t really care about denominational ties. They like the pastor, the worship, the programs, the ministries and the people in the church. That is why they are there. Many will find a place of community and service there and will stay. Others, like many 21st century Americans, will move on when it no longer fills their perceived needs. Perhaps an appropriate question for the denominations is, "What is our real purpose?" Is the role of the denomination to empower and enrich or protect and maintain? But that is a topic for another day. I'm beginning to wonder what "leading" even means for Jesus followers. Jesus told us that the Gentile leaders rule by lording over their subjects, but for his followers, this should not be. He who leads will be "the slave of all". There are many of us who feel lost in the church if we are not "leading" in some way. So yeah, I think leading-by-serving is an art. The people who have modeled this best for me were not men and women of learning . . . they just did it for the love of serving as Jesus did. Stephen makes a good point. For one thing, his comments remind us that “leadership” is more than a role or a title. 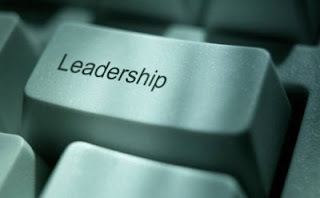 Every group of human beings will have leadership of some type, but it is conferred in many different ways. Leadership may be assumed, usurped, negotiated, or bestowed, but it is there. Leadership in the church is different because it is governed by the way God made us. A number of writers have pointed out that in most organizations there are two primary types of leadership. We can call them different things, but basically there are leaders with titles or positions and leaders who may not have title or position but lead anyway! We can call this positional leadership and functional leadership. Putting someone in a leadership role does not make that person a leader. Just ask the young pastor who has been called to a family size congregation. The pastor may assume that he or she is the “leader” of that church, but there are church members who really know who the leader is—a matriarch or patriarch who has been around for awhile and is related to most of the church members in some way. Is this a model of biblical leadership? Not necessarily, but it happens! In the early church, leadership seems to have been more of a function than a title. In reading about the church at Jerusalem, we learn that a number of people who were “servants” of the church—such as Stephen and Philip—also became gifted spokespersons for the Christian faith and leaders in the proclamation of the faith. Barnabas was first recognized for his generosity and sense of caring before he was delegated the job of envoy to the church at Antioch. While there, other gifts of leadership became evident and led to a role as a missionary. The church had a charismatic leadership characterized by a gifting from God for the various functions that were needed. Function was more important than title. As Paul pointed out in 1 Corinthians 12, there are different functions in the body, but all are necessary and none is more important that any other. Perhaps we define “leadership” too narrowly. Any person who exercises his or her gifts as a servant of the church is a leader--the greeter as well as the Sunday school teacher; the children’s worker as well as the preacher; the custodian as well as the administrator. In the final evaluation, the title or the role is not as important as faithfulness to God and God’s people in exercising our gifts. This is servant leadership. Being a coach is not a matter of age or expertise. The basic skill needed to be a good coach is relationship. A trusting relationship is essential for the coaching conversation, and the relative age of the participants is not important. The second skill, the ability to ask good questions, is one that any person can learn. I thought recently of a conversation I had some 30 years ago with a student while I was a campus minister. Del was a sharp pre-med student. He was on our Baptist Student Union council and came in weekly for a planning time with the campus minister (me). We had developed a good rapport, but I thought I was still in control of the conversation. Then one day, Del asked me, “How’s your spiritual life?” I was a little surprised initially. After all, I was the older (by at least 15 years) and wiser (I thought!) leader. But I stopped for a minute, reflected, and realized it was not a bad question. This initiated a good dialogue about my own Christian walk. Del’s question was an appropriate question at the right time in the right place. One thing I realized from this incident was that one doesn’t have to be in a supervisory or formal coaching role to ask good questions that hold another person accountable. And I needed to be held accountable. As I think back now, I realize that some of the best questions that I have heard over the years have some from people who knew nothing about my work and many who were much younger than me. Of course, I have heard a lot of pointless questions, too! Just asking a question is the not the key; it is asking the right question. Either Del had a good coach along the way or he had an intuitive skill for asking good questions. When asked in the context of a trusted relationship, good coaching questions open doors for reflection and action. 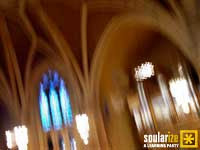 Thinking of church leadership as an art certainly fits well with other activities in the Body of Christ. Worship is largely characterized by the expression of our faith through music. From the simple hymns of the early church to Gregorian chants to Handel’s oratorios to campground songs to contemporary praise music, the church has used the art of vocal, choral, and instrumental music to express our love for God and challenge us to serve our neighbor. Our preaching is an artistic form as well. 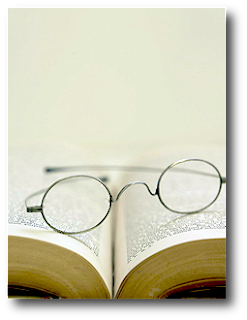 The act of preaching involves the use of rhetorical skills, imagery, and speaking to articulate the Gospel. I hesitate to call preaching a “performing art,” but some preachers use drama (intentionally) in the form of character or monologue sermons. Our church structures are not only works of architecture that keep us protected and comfortable, but they are works of art. Their interiors and exteriors are theological statements. Tall steeples point the observer to God and stand as a witness to the presence of a believing community. The church where I am a member looks like a forbidding Greek temple, but when it was built it communicated that this community of faith was committed to learning and was going to be around for a long time. A rich interior design with stained glass windows, engravings, or banners uses the visual arts to present the biblical message. Even a sparsely decorated, austere interior may reflect a simple and uncluttered relationship with God. And, with some trepidation, I have to say that the Bible itself is a literary art form. The scriptures use the various literary styles that have been developed by humankind—narrative, poetry, allegory, imagery—to present the story (another literary term) of our relationship with a Holy God. So, I think we should feel comfortable with the idea that church leadership is an art. Leading a congregation requires skills of discernment, composition, arrangement, timing, imagination, perspective persuasion, and presentation (just to name a few). Such skills are rarely innate to the individual but must be recognized, nurtured, and practiced. Yes, art requires practice, doesn’t it?